Air purifying plants are a perfect way to improve indoor air quality at home or the office. Not only do indoor air-cleaning houseplants make your house healthier, but these plants enhance the aesthetics of your home, making each room they’re in more friendly on the eyes and comfortable to be in. Ever consider bringing in some plants before learning that they can purify your air at home? The fact that they purify the air and generate more oxygen seals the deal for me when it comes to plants in the home or not. According to a 1989 NASA study and follow-up from the lead scientist who conducted it, yes, plant do work to purify the air. In the study, they proved that plants are able to cleanse the air from toxic chemicals and pathogens. They proved this by putting plants within chambers. They gave it 24 hours to see what happens when these chemicals are in the same closed chamber as plants. After testing the results, it was seen that some plants removed up to 90% of the chemicals in the air! And the best part about this study is that they didn’t have to find some exotic, super air-cleansing plants to remove the harmful chemicals from the air. They just used common houseplants. The study concluded that these plants do work. They put a bunch of chemicals in a room and their tests concluded that yeah, they work. The chemicals they put in the room included, aluminum, benzene, formaldehyde, more. Plants take in the harmful gasses out of the atmosphere and “sequester” them in their roots and cells. Some of chemicals broken down by fungi in soil, and others are stored in the plant. Dr. B mentioned positive correlation between plants and indoor smoke. The tests were focused on harmful airborne carcinogens and chemicals and not weed or cigarette smoke, but theoretically, yes they’d help with indoor smoke pollution. Block Wifi – 5g waves no good – low fertility rates in US. 5g rollout in cities currently. Purify Air from smoke particles (great if you live near freeway or with a smoker). Plants grab smoke in the air. Gets rid of harmful indoor carcinogens like formaldehyde, benzene, trichloroethylene and more. Makes you feel nice: brings nature to you regardless of your living situation. More On Indoor Air Pollution: We have a full post on tips to improve your indoor air quality. It’s called 14 Indoor Air Pollution Tips, and it goes over houseplants plus 13 more ways to purify the air in your home. More studies and research has been done since this most prominent one. And the jury’s out. They do work to make your air cleaner. There are counter points of view however. Below are some of my favorite indoor plants for air purification. 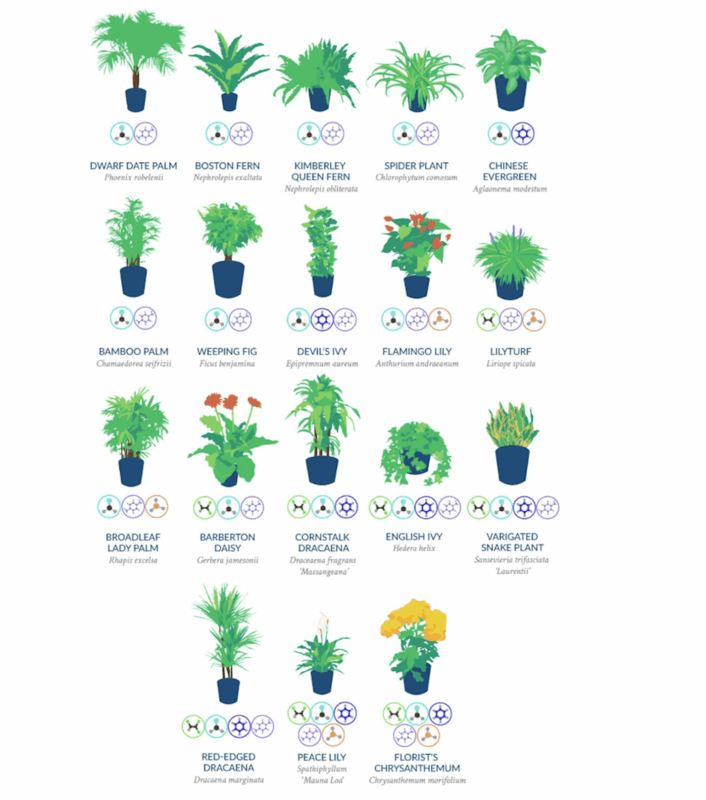 There are more than just 12 air purifying plants. All plants have the ability, but there have not been official studies, like from NASA, on all the rest. Aloe vera is a natural air purifier that clears any formaldehyde and benzene from the air. It’s easy to grow and enjoys being indoors or outdoors. It a great looking succulent that also is used for various other internal and external health purposes. 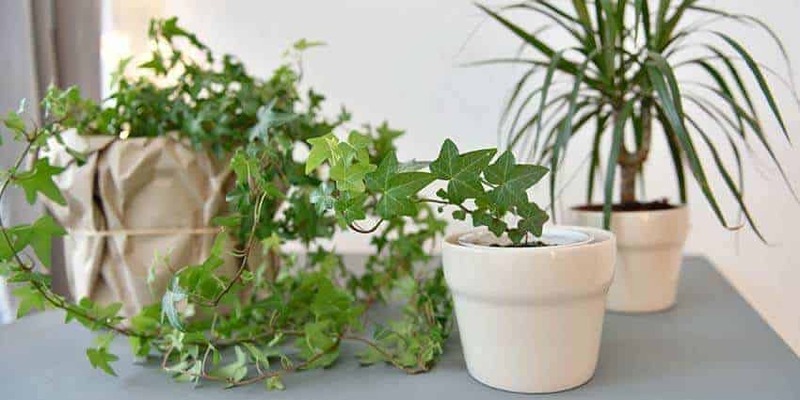 Because it grows well in a pot, in low to high sunlight conditions, and doesn’t ask for much water, it makes a great natural air purifier to have in your home or office. According to the NASA Clean Air Study, aloe vera is included in the list of plants that purifier the air of benzene and formaldehyde. It was depicted in stone carvings as far back as 6,000 years ago in early Egypt. As an air purifier there are not dangers, but if someone accidentally eats your aloe plant or you are using it orally for health benefits, then it’s worth knowing about potential dangers or toxicity. Aloe latex is used as a natural laxative. Because of this, abdominal cramps and diarrhea have been reported. One thing to note is that taking aloe as a laxative can reduce absorption abilities. This can have an affect a prescriptions’ efficacy. Another of the benefits of potential lowering of blood glucose levels. Because of this natural health benefit, if you take any glucose related medications for diabetes or similar, you should be aware of this. It’s documented as toxic to cats and dogs (maybe kids too if so, worth looking into). My dogs have licked the gel inside a leaf I’ve used on their cuts at times and they’re fine. Cats and dogs don’t like aloe so it’s no real danger. 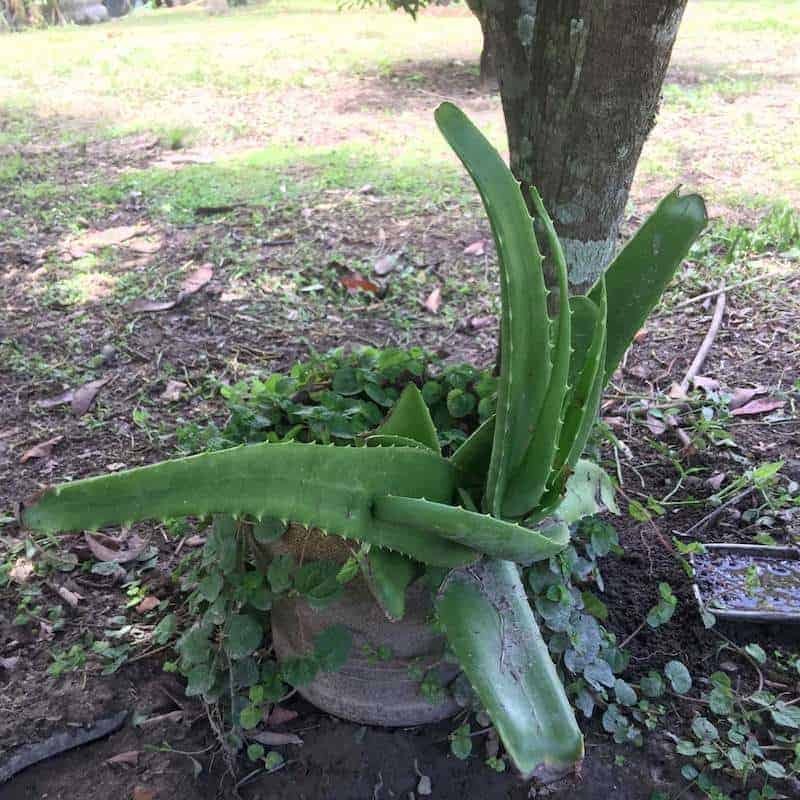 Aloe vera can thrive in the backyard in the ground. They start small, but if you allow them, they get really big. In as versatile as they are with their health benefits. This is my favorite indoor air purifying plant. Philodendrons are common houseplants that are also known to remove harmful chemicals from the air, formaldehyde being its chemical of choice to remove from the air. Philodendrons are easy to maintain and will make any room look great with their big dark green leaves. The current picture above is the one we have on the porch. This was a big indoor philodendron until recently we moved and I like it on the porch. I need to cut a few pieces off and grow them inside the house. These are easy to transplant and re grow, but once they’re entrenched somewhere, they like to grow long, thicker and have little branches that grow out and grasp the floor or wherever it is resting on. The NASA Clean Air study concluded it being good at removing formaldehyde from the air. And if you live in an apartment or dorm room, their leaves are large and great for blocking harmful EMF radio waves in the air. Philodendron domesticum: It’s most popular name is the Spade Leaf Philodendron. It’s also known as Burgundy Philodendron. This one has arrow shaped glossy leaves. Philodendron bipinnatifidum: Also called Lacy Tree or Horse head Philodendron, Philodendron Selloum, this one is native to South America and grows in the wild in tropical regions. It is bigger than some of these others, but when small can be a great indoor house plant to help clean the air. Philodendron cordatum: It’s most popular name is the “Heart Leaf Philodendron.” It is from Brazil, and enjoys the shade. A perfect indoor houseplant that has deep green heart shaped leaves. It’s important to note that it was only these 3 Philodendrons studied, and it’s more than likely that all philodendrons would have proved effective at removing formaldehyde or some other chemicals from the air. The only ones studied so far have proved them effective at formaldehyde removal. All philodendrons do well in shady areas as long as they get some sunlight. It doesn’t have to be direct. They don’t require too much water but do need drainage at the bottom of the plant’s pot and a watering a few times per week, depending on how porous the soil is and how fast it gets dry again. Indoors they grow slower if not facing direct sunlight for hours each day, but they also enjoy a good bit of sun each day if you have one outside. They don’t like full facing sun all day and do well indoors with any natural light that comes into its room. They’re require trimming, to your satisfaction. I like to let them vine out. They’re not invasive to other plants like the English Ivy. If you prefer to keep shorter and bushier, then you can trim more aggresively, but they’re slow growing. Slower with less light. The most important note is to keep the soil well-drained. Over watering can make them rot. They’re sturdy plants and are fine with skipped waterings now and then. When you feel the top layer of soil dry, then you can water. Warning: Philodendrons are known to be toxic to small animals and children. Many are an “Ivy” like Parlor Ivy (Philodendron Hederaceum) for example. Poison Ivy is a whole other category (Toxicodendron radicans). Most animals don’t care for or would ever eat a philodendron leaf, but you’ll need to keep an eye on little ones around these plants. I’ve read online to feed regularly, but mine do well with fertilizing maybe once or twice per year. They don’t like temperature that drops below 50 degrees F.
Easy to take cuttings inside and regrow from there. Take a 6 inch long cut and drop it in water. Once roots start to grow you can stick the plant into soil and it should grow from there (rooting in water isn’t always necessary if soil is perfect). For more eloquent writings, deeper research and very cool scientific facts written about philodendrons, here’s an article from Britannica that I got lost in for a while. Plants are so interesting, philodendrons being one of many. Similar in looks and ease of growing to the Philodendrons, Pothos plants like the Golden Pothos pictured above are not Philodendrons, but they’re close relatives. It is a great air purifying plant that looks just as good as it cleans your indoor air. Golden Pothos is a perfect plant for the garage because it cleans ozone from exhaust from the air. It also clears out formaldehyde much like Philodendrons. I’ve also read about them being able to remove carbon monoxide and benzene from the air, but haven’t seen any official research to prove it. However, I’m sure they do remove these as well. Similar to Philodendrons in toxicity, be careful they don’t munch on the leaves. They’re not fatal but they do have a toxicity level as noted on the ASPCA plant toxicity list. Pothos plants remove ozone. Ozone is a naturally occurring substance that lightning and brush fires produce, for example. It’s also a respiratory irritant that can be dangerous if inhaled in concentrated amounts. It’s in car exaust also, making this plant perfect for your garage or the rooms and hallways closest to the garage. Golden Pothos also removes formaldehyde. Another harmful chemical you want removed from the air that comes from exhaust. Water, sunshine, location: Pothos plants like water and need to drain well. They do not like sitting in puddled water. Their roots will rot, so make sure the soil is well drained and don’t overwater. Less is more with these plants. Pothos do fine in low sunlight and in cooler temp. I find that watering just a bit a few days a week is perfect for indoors. Outdoors, these do well with sunshine as long as they get some shade as well. The more sunshine they get the more they grow. 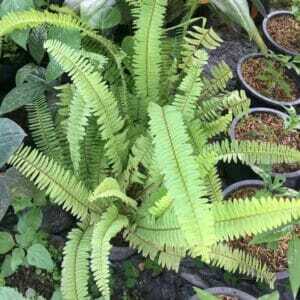 It also thrives in warmer temps when split in between shade and sunlight. The deciding factors in its growth are the amount of sun and the quality drainage of its water. You can water liberally outside, but still keep the soil well-drained and don’t over water if it’s not drying out fast. If you notice the variegation in the leaves colors gone, and the leaves a pure dark green, you can give it more sunlight and the variegation will come back. It does will with very low light conditions, but at least some sunlight is best. Ideal for hanging pots inside. Golden Pothos is also known as hunter’s robe, ivy arum, money plant, silver vine, Solomon Islands ivy, taro vine and its most popular name is Devil’s Ivy because it’s very hard to kill and stays vibrant green in dark environments. Mother In Law’s Tongue: Yellow stripes on sides. Both are worthy air purifying plants. I’ve even seen some giant varieties too. Here’s an image of the HUGE Mother In Law’s Tongue I ran into recently. This one was taller than me! I’m sure these giant ones are wonderful for indoor air purification as well. 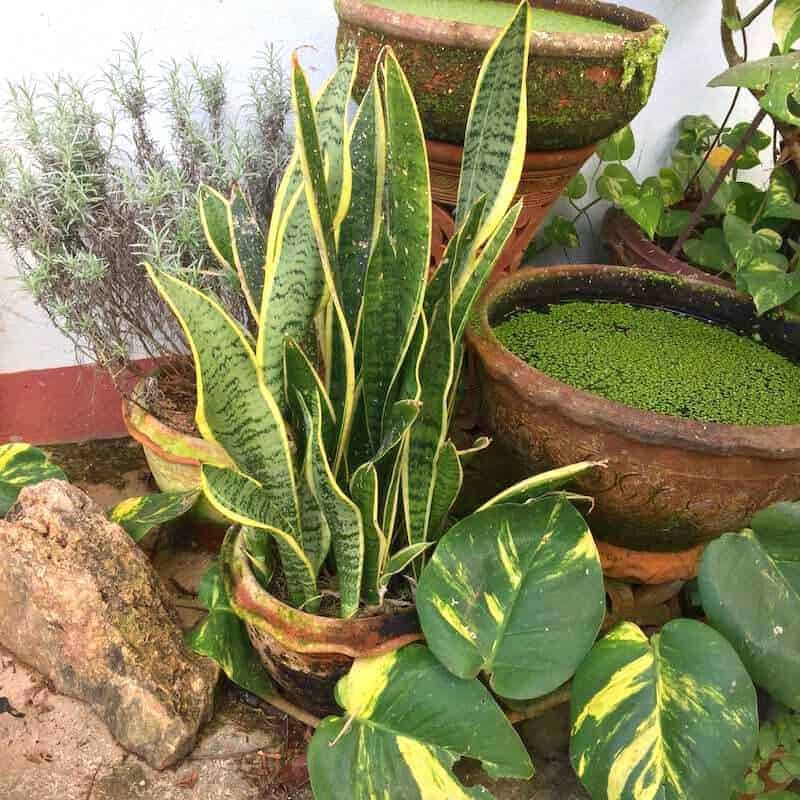 The bottom line is that all of these sansevieria variations are effective at removing toxins from the air. They all improve indoor air quality and are great plants to have inside and outside your home or apartment. 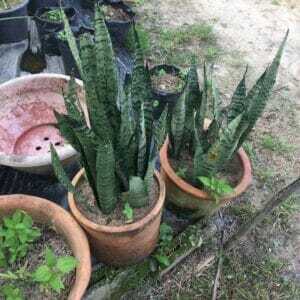 The Snake Plant is one of the very best air purifying plants based off the NASA Clean Air Study. In the air cleaning test, it removed all the chemicals tested except for ammonia! This is one of the easiest plants you’ll ever manage. It simply won’t die. It doesn’t need much water, and it thrives indoors with medium light or outside in full facing sun. As long as you make sure to get it water every now and then, it will be happy. ALL ferns are great purifying the air. I’m finding there to be many fern varieties. 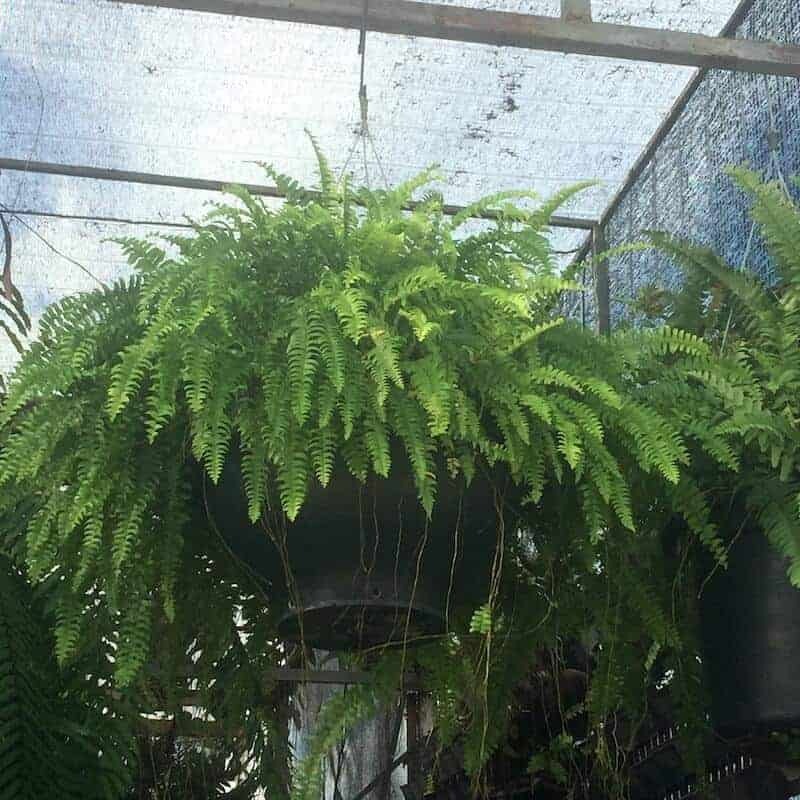 The Boston Fern is one of the most popular and the one in the NASA study, but I would bet that all ferns have powerful air cleaning abilities. A baby fern variety of some sort. There are many variations of ferns. You can tell they are ferns by the distinct way the leaves grow, like little centipede legs. 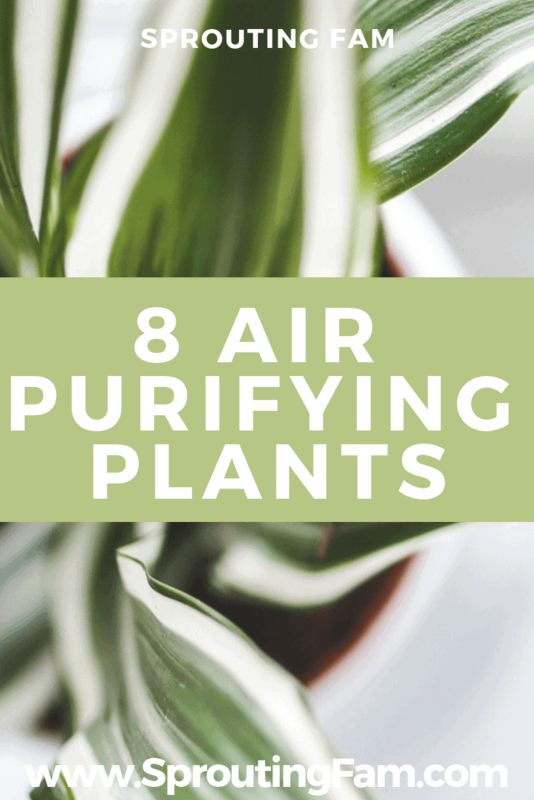 All variations make for excellent air purifying plants too. These are easy to grow like most plants on this list. They need medium water and medium light. They’re great in low light conditions and don’t require much care or trimming. Peace Lily is one of the most versatile air purifying plants. It was shown to remove all the chemicals thrown its way. It was the only plant able to take care of all of them within the well-known NASA Clean Air Study. These help get rid of toxins like Benzene, Ammonia, Acetone and Ethyl, and more as per the study. They say it’s a good hallway plant as it can help prevent the toxins from going from room to room. 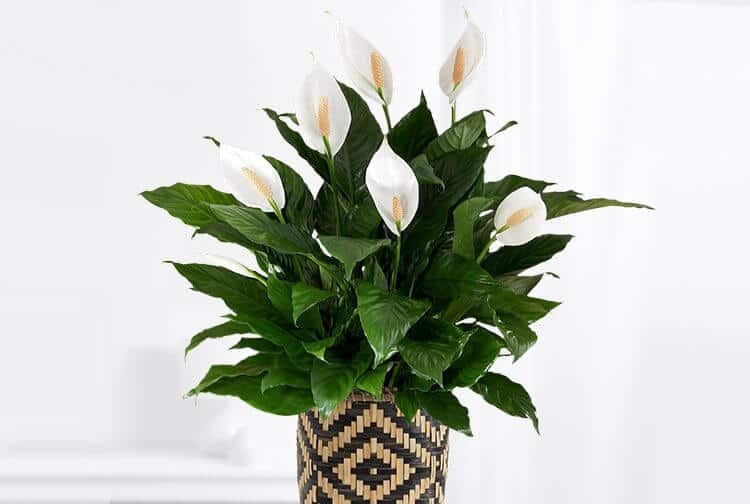 Out of all the plants in the NASA Clean Air Study, Peace Lily is the only air purifying plants that was shown to remove ALL six chemicals tested for from the air. This video is very informative and will tell you everything you will ever need to know about this air purifying peace lilies. Peace Lilys are easy to grow. They need low to medium light, medium water and well drained soil. Good for the hallway. They are also great for your most humid rooms. Chrysanthemum was the only other air cleaning plant besides Peace Lily able to remove all the harmful chemicals thrown its way. It is a perennial plant from the Asteraceae family. Chrysanthemum is a popular indoor houseplant because of its air purifying abilities. Its flowers smell great, and they come in many colors. And liven up any room they’re placed in. I think they’re perfect for a bathroom. 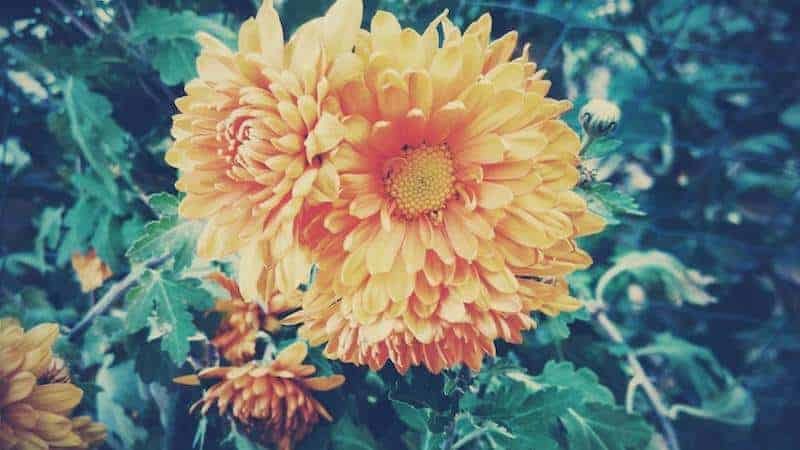 Chrysanthemum is able to remove all the chemicals from the NASA CLean Air Study. All the plants on this list are easy to grow indoors. The Chrysanthemum is no different. Use well drained soil, water a few times per week, low to medium sunlight is ok. And it’s good to fertilize monthly. English Ivy is one you might have seen before. It is an easy-to-grow perennial evergreen climbing vine that is often found outdoors, spreading across buildings, walls and homes outside. It also likes to grow up trees and cover their trunks and branches. The highlight feature behind English Ivy is its ability to get rid of mold. This was discovered froma more recent study, not the 89′ NASA study. English Ivy is one of the best air purifying plants because it kills mold. This ability to remove mold spores from the air makes it a special plant to grow inside your home. Mold is one of the worst toxins we can encounter. While Superman’s downfall is kryptonite, us human’s are gravely affected by mold and their airborne mold spore toxins. Researches measured the air quality after 6 hours and 12 hours. After 6 hours the containers each had around a 60% drop in airborne-mold spores. After 12 hours the container with moldy bread had a 78% drop in airborne mold toxins and the dog feces container had a drop in 94%… almost 100% of airborne toxins, gone! Of course they conclude that more research is needed and that proper indoor air purifiers shouldn’t be replaced by English Ivy and other plants based on this research alone. But it’s a wonderful thing to see that the free gift of nature can help solve some of life’s more pesky problems and that we don’t always need expensive, fancy air purifiers to help clean our home’s air inside. Used in tandem, you have a clean-air power-combo that is sure to help make you living space more healthy for you and your family. However, there are a few downsides to English Ivy you need to know about. It’s a bully to other plants. It takes them over. It also spreads up trees and can negatively impact them by stealing their sunshine and thus weakening them. In many instances, you’ll want to control their spread. The best part about having them indoors is that it’s easy to control their spread. They can’t take over other plants inside unless you plant them in all your pots and let them take over somehow. The English Ivy plant contains glycoside hederin in its leaves and plant berries. This substance is toxic to humans and animals, so you need to be careful. There is no danger if you don’t ingest it. Having it in your home is actually beneficial because of its ability to purify the air and detox your home from some of the mold spores you may have inside. Inside your home or office you will have to consider their toxicity. 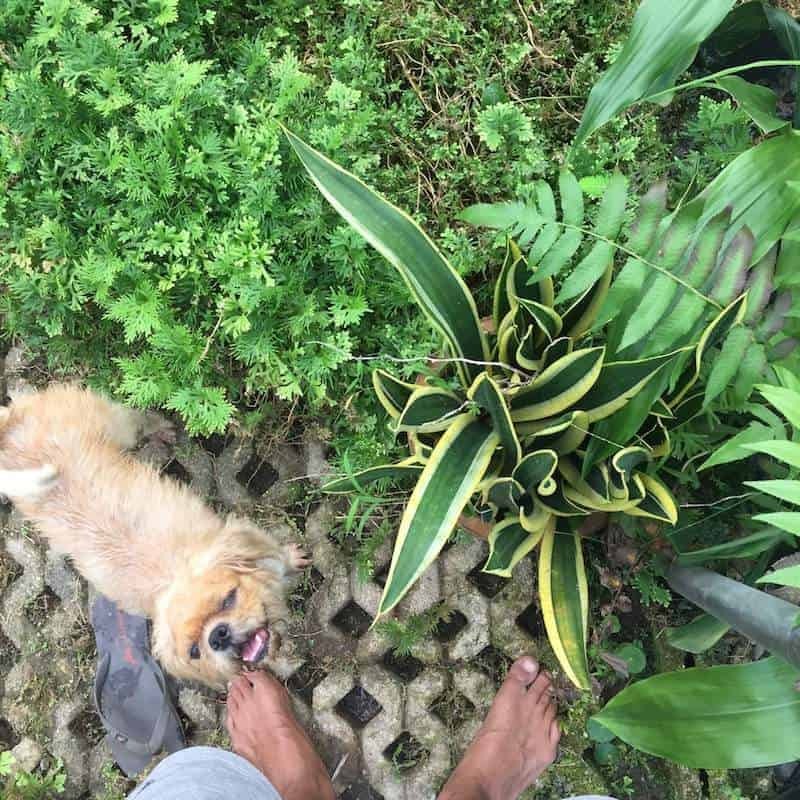 While many “toxic” plants never phased my old Jack Russell terrier, it may not be something you want to risk for your small animals or children in the home. Only use it inside. For inside the home, English Ivy is a wonderful addition to help clean the air and remove mold spores. It’s too invasive for outside and can take over other plants that native animals to the area depend on for their seeds. As a native alternative, try attaining Alumroot instead. It’s also a great groundcover that will help fill some spaces and if you’re looking for something like that outside the home, in your garden, choose the non-invasive plant instead. It’s easy to grow and hard to kill. This is good and bad. You’ll want to make sure it doesn’t invade your yard and take over. You can let it take over certain sections, but if you don’t chop up excessive growth every few months, you’ll find that it likes to keep spreading to the point of uprooting plants beside it. Because of its invasive nature, English Ivy is actually illegal to buy in some states, Oregon being the only one I know about. It’s a great plant for air purification at the office or at home, just make sure you let visitors know if they’re bringing over their babies, children or pets. The top 3 Air Purifying Plants! Due to their surface area to chemical removal ratio, these were the top 3 in the NASA study. Keep in mind size, however. The bigger the plant the better for air purification. Also, these are based off the minimal tests out there and the plants that were tested. Many plants purify the air that don’t have research proving it. Most plants as long as they’re comfortable growing indoors will provide some natural air purification benefits. Scores high in removing chemicals (high chemical removal rate) and is SUPER easy to care for. Good in high light and in low light environments. Doesn’t need much water. Here’s one I bought years ago with my mom and have moved around to apartments with me. To check for the toxicity of any plant you may use for indoor air purification, you can go to this website. 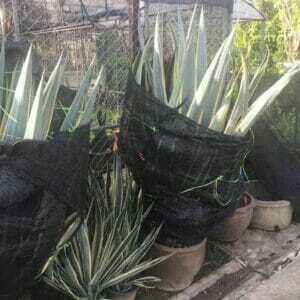 The ASPCA have a website dedicated to identifying toxic and non toxic plants. 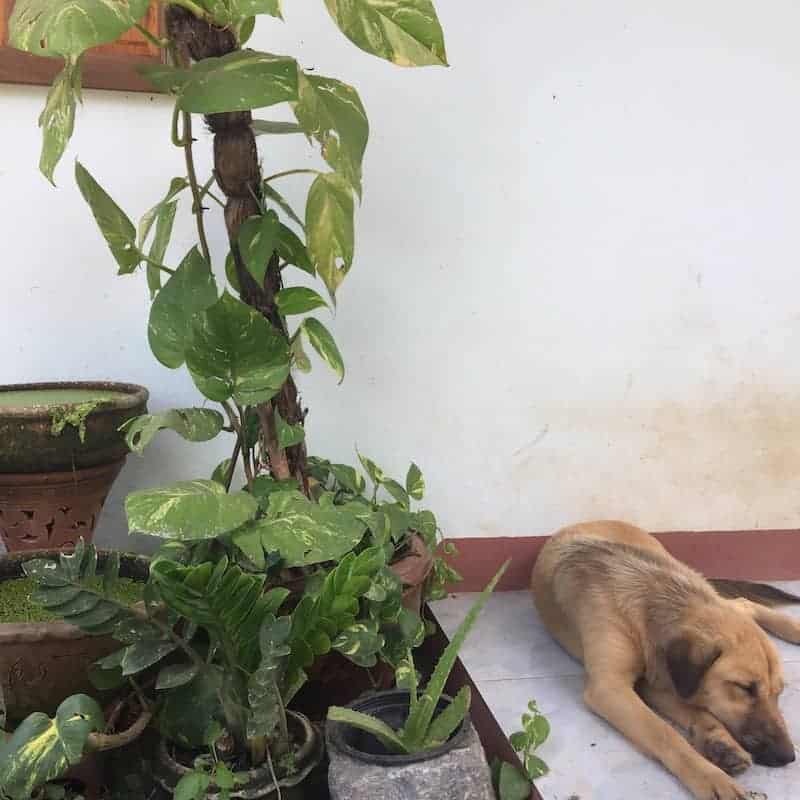 You can type in the scientific name or the popular name to identify any plant and check its toxicity level to cats, dogs or humans. In this video, you see how you can make a jungle in your apartment. Her apartment is great! She says “like” about 1,000 times in this short vid, but if you can get through the million “likes” or just hit mute, you can see this wonderful apartment that has over 500 indoor houseplants that I’m sure to wonders to clean the air and provide her extra oxygen inside. However, Harvard also runs the geo engineering program that sprays metals into the atmosphere and pollutes the unsuspecting citizens below as well as the poor trees and forests which is helping lead to major problems both in wildlife and with our fellow Americans. And thus, I will choose to ignore their “findings” about indoor plants for air purification drawback facts. I haven’t seen anyone else with studies against it, and personally I haven’t had an issue with it, so I’ll just give this one a maybe. Check for mold. If you have a plant in a part of your home that is humid and without much airflow, then use a plant in this room that doesn’t require much water. This might be best. Indoor air purifying plants are a great addition to any home, office or room. The only thing to watch out for is for little kids and small pets eating the leaves, but other than that, these indoor plants help purify the air and keep you, your family and your friends’ air safe. Do you have a favorite indoor plant you use?